hotmail.com. I currently know most things about russian tortoises, other species i am able to look up on how to care for or ask someone else! Tori seems very thoughtful in the photo. I wonder what Tori is thinking about. 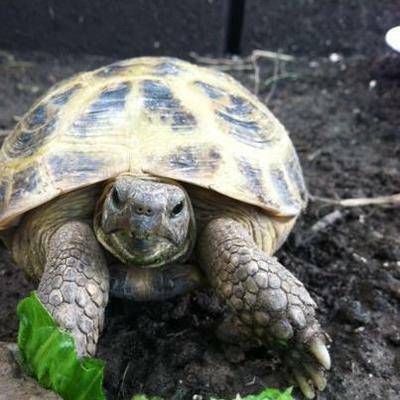 i have a russian tortoise i have had for 4yrs.,he is just like ur tori very stubborn. i let him roam the house and there is one place he insists he wants to be that i don't want him to be. he isn't very big,i don't think he is going to grow anymore. his name is "ET". i have another tortoise that is a redfoot.